These days I’m pretty backed up on repair/restoration, but there’s always a “magic number” that’ll get me in gear to pick up a game. And when someone wants to reclaim their dining room or spare bedroom, I’ll do my best to help them out, as was the case with this “heavily-loved” Stern Meteor pinball game. I pop the hood on this baby and we take a look and see what’s going to be involved in getting it playable and in better condition.. In this video series, I go over a 1979 Williams Flash pinball machine that has a few issues. After rebuilding the sound card and getting the sound working, I move on to figuring out why several of the playfield features are not working. I go through step-by-step trying to figure out where the problem is and why certain coils are not firing, eventually tracing it all back to logic chips on the driver board. Watch me as I fumble my way into getting the game back to 100%, and as usual, pardon my occasional tangents and erroneous conclusions as I diagnose where the problems are in this un-edited video series. In Summary, there are a few steps to follow when you’re trying to diagnose a playfield coil that does not properly fire. 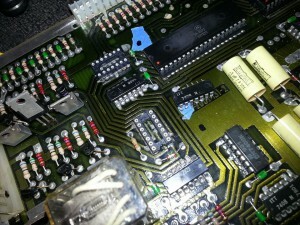 First, as always, make a visual check of the playfield and connectors to see if you notice any obvious problem like a broken wire or diode, coil winding that has come loose, or an obviously burned coil, or cracked/loose solder joint. Second, check to see if there’s power to the coil and it can be manually trigger by grounding the non-power-supplied lug. Forth, trace continuity in the switch matrix wiring to/from the playfield. Also note (as I later discovered while working on this game) that if the coil is using one of the special solenoids, it will have a second trigger switch/line that needs to be checked. 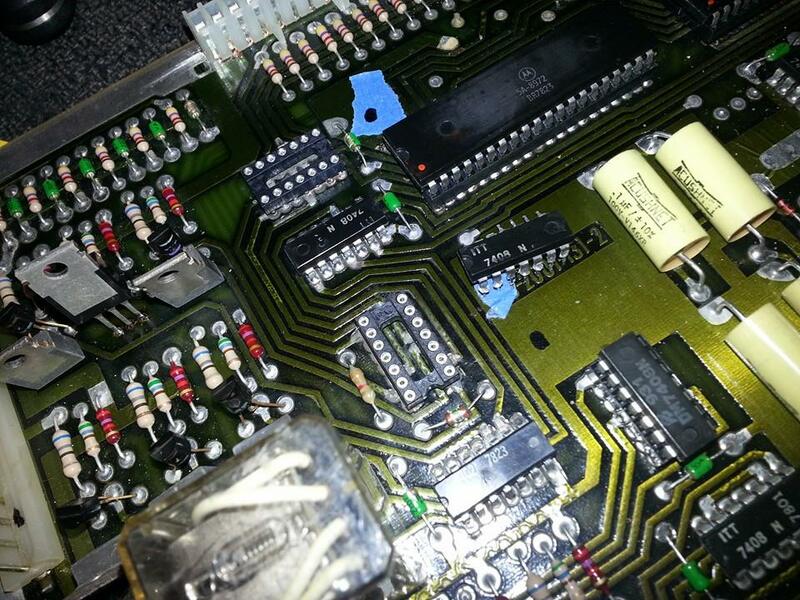 Fifth, if continuity checks out, then test the switch matrix or trigger lines on the driver board. If you’re at this point and things still don’t work, it’s time to examine the driver transistors and pre-drivers… you should have, at step 1, examined the driver board to see if there were any obviously burned components on the driver board. Now you have to bust out a multi-meter and check the transistors and ICs in the signal path — noting that if they test good, this dosn’t mean they necessarily are good. If there still is no conclusive cause, you have to start replacing components, starting with driver and pre-driver transistors, and then the 7408 and 7402s.